Pema Chödrön teaches in a way that makes me feel like I am taking a walk with her. Or baking with her. I like to pretend that we are hanging out when I listen to her podcasts. When I read her books, I like to think that she is one of my girlfriends…the kind who comes over and spends time with me even when I am busy. Sometimes, we can feel so overwhelmed by things. I’m not talking about material things—and those can be overwhelming too. I am talking about problems. Goals, dreams, behaviors, neuroses, people. All of it. This is my favorite little story from the chapter in the book that explains ways for us to cultivate joy inside ourselves—to learn to serenade and tame the tigers we struggle with in our heads. Whether we are literally eating strawberries and enjoying their juicy color and sweetness, or choosing to cultivate joy and happiness—just for a moment—in our emotional strawberry patches, we have physical and soulful ways of coping with sadness, stress, anger. 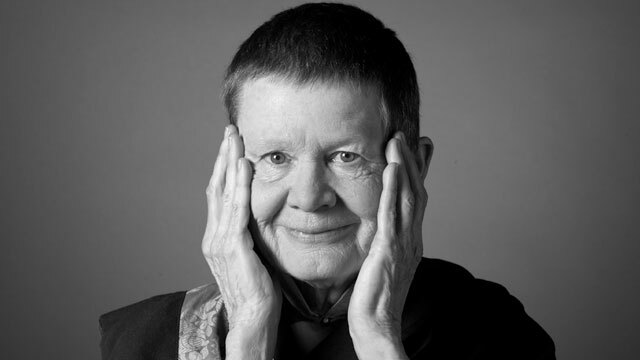 We don’t get rid of these emotions, says Pema Chödrön. We make friends with them in order to control them with precision, gentleness, and our [meditative] ability to let go. There are only 145 calories in one pound of strawberries. So eat ’em up! I love the interview where she recounts how she started becoming a buddhist-her husband had left her for another woman and she harbored very violent thoughts about both of them….that is so HUMAN. she is a very human, human being. and also a very evolved spiritual being-kind of who I would like to be some day. I needed that story to wake up. Thank you. And I just love the sound of Pema's voice too.